The United Arab Emirates (UAE) will play Zimbabwe in the 2nd ODI of the four-match One-Day International (ODI) series. The match will take place at the Harare Sports Club in Harare. For the uninitiated, both Zimbabwe and UAE failed to qualify for the ICC Cricket World Cup 2019 to be held from May 30 onwards. 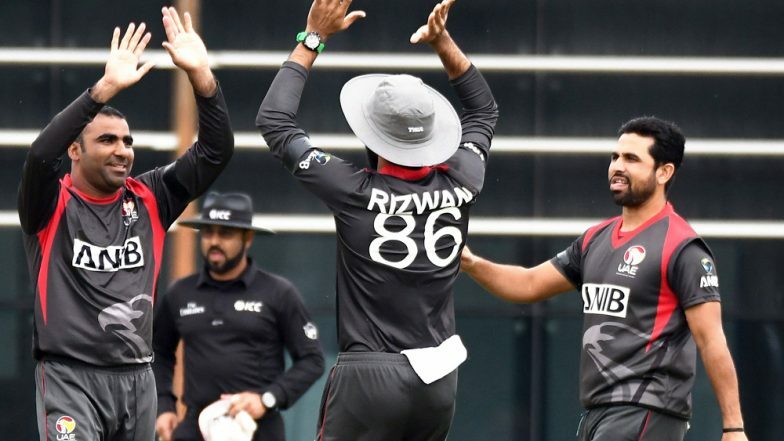 Meanwhile, if you are looking for ZIM vs UAE 2nd ODI, 2019 live online streaming and telecast details, scroll down for all the information. ZIM beat United Arab Emirates by 7 wickets | UAE vs Zimbabwe Live Cricket Score 1st ODI Match. United Arab Emirates Cricket team did not get the best start in the ODI series. UAE faced defeat in their first ODI against Zimbabwe. The visitor posted a total of 110 which Zimbabwe team chased down in just 23.1 overs with the loss of three wickets. Zimbabwe bowler Tendai Chatara was awarded the Man of the Match in the previous game for his brilliant spell of 3/25. Craig Ervine from Zimbabwe cricket team scored 51(46) to help his side register a comfortable victory. United Arab Emirates tour of Zimbabwe 2019 – Schedule. The second ODI between Zimbabwe and UAE will take place at the Harare Sports Club. The ZIM vs UAE 2nd ODI action starts at 01:00 p.m (IST). Meanwhile, Zimbabwe has won the toss and have elected to bowl first. However, the match start has been delayed due to rain. With no live telecast available in India, there will be no live online streaming of ZIM vs UAE 2nd ODI. Fans in middle-east can head to OSN’s official website to find out if any live streaming is available or not. For the live score updates and the ball-by-ball commentary of ZIM vs UAE 2nd ODI, fans can click here!